Get ready for a 6-bedroom cabin that truly has it all! 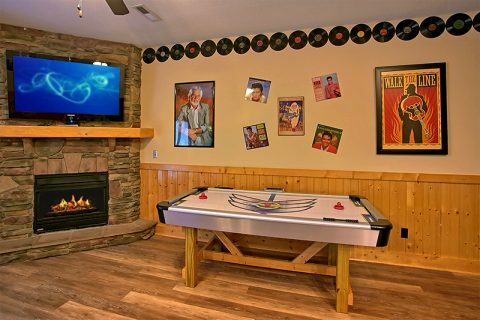 "C'Mon Inn" is a lovely cabin in the Alpine Mountain Village Resort that comes with access to two outdoor pools and an excellent lineup of amenities. 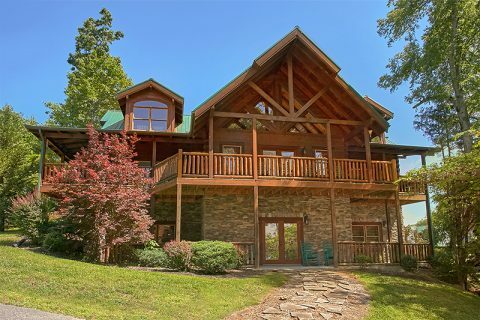 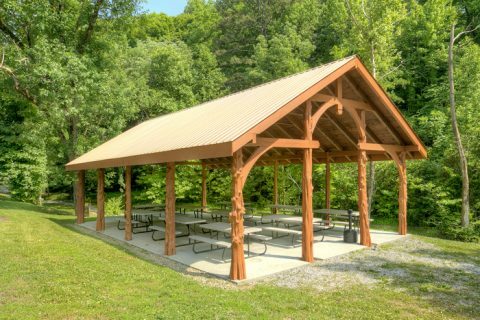 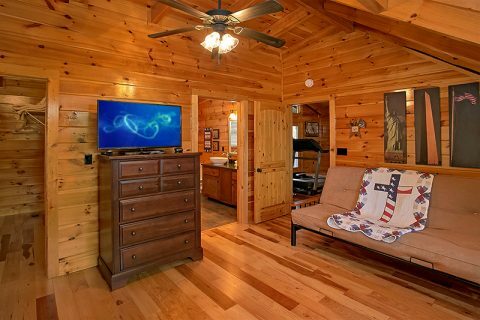 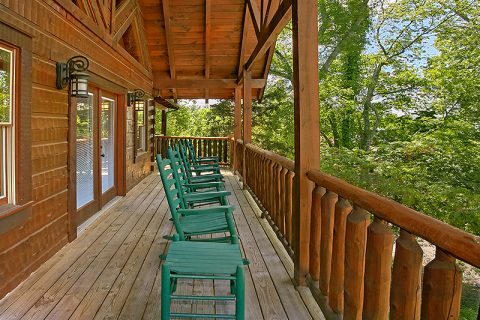 Not only does this rental come complete with a hot tub, exercise equipment, game room, and a theater room, this spacious cabin is the perfect launching pad for your vacation in the Smokies! 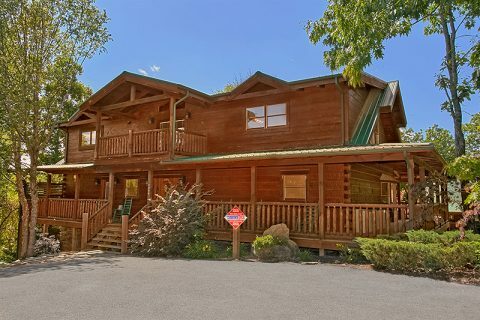 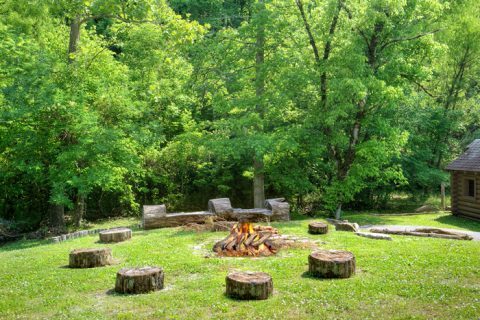 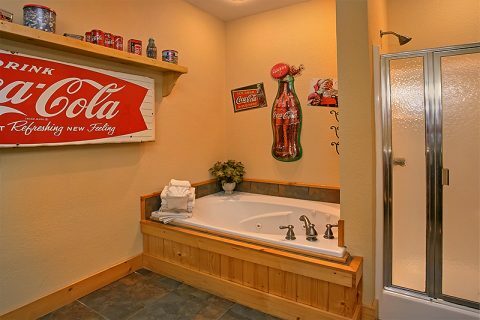 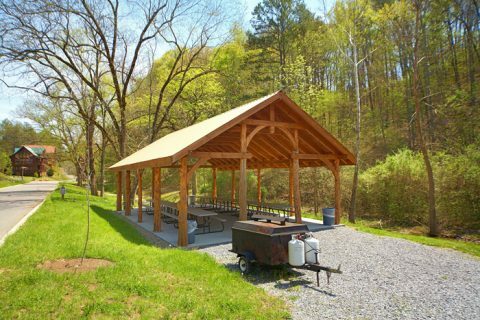 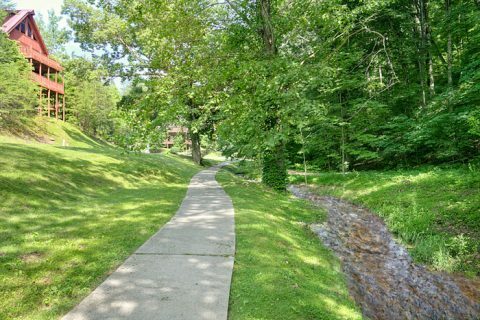 With a prime location only minutes from Downtown Pigeon Forge, Dollywood, and Gatlinburg, you're bound to have a fantastic stay at this group lodge. 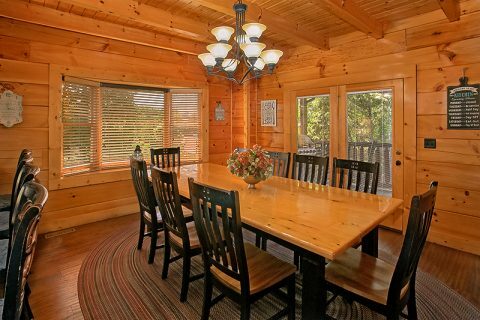 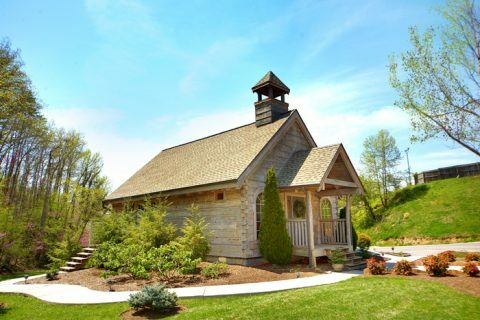 With room for up to 22 guests, this rental can easily accommodate all your friends and family. 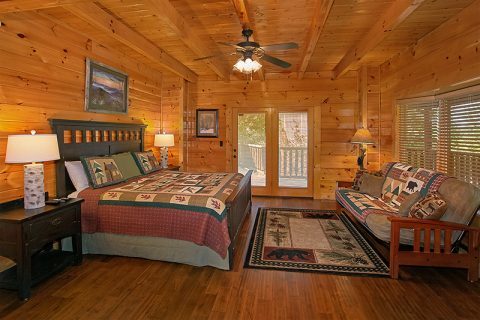 If you need even more comfortable sleeping space, it's possible to book more than one cabin during your stay! 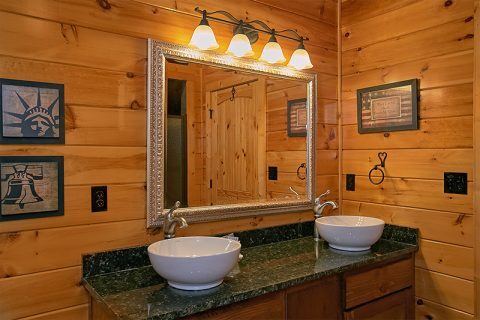 If you're interested in reserving several cabins, consider booking "Alpine Mountain Lodge," another 6 bedroom cabin that's also located in Alpine Mountain Village. 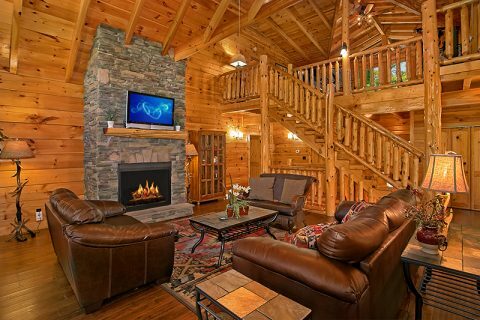 Enter into this cabin's spacious living area and you'll find a large, stacked-stone fireplace with a large television above the mantel. 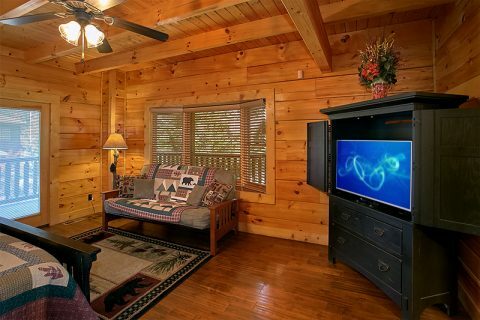 Comfortable furnishings make this room a comfortable place to gather with great company. 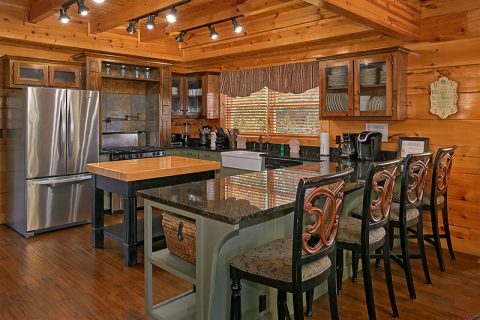 Nearby, you'll find everything you need to prepare delicious dinners in the luxurious, full kitchen with sleek appliances, plenty of counter space, and a nice dining area with seating for 8. 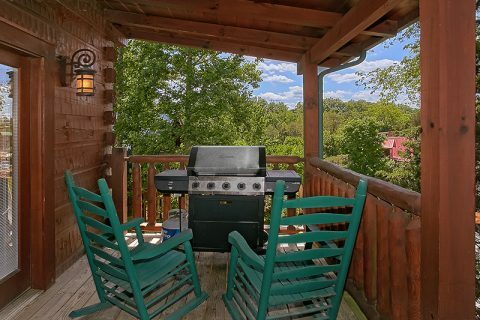 You can also grill out on the gas grill for enjoying a summer cookout on your cabin's spacious deck. 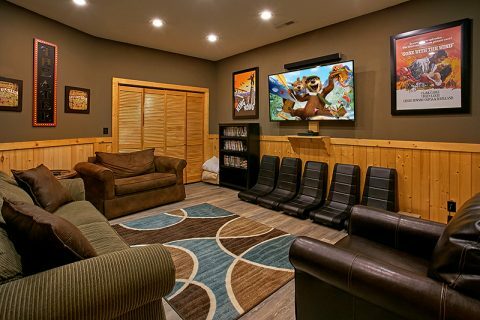 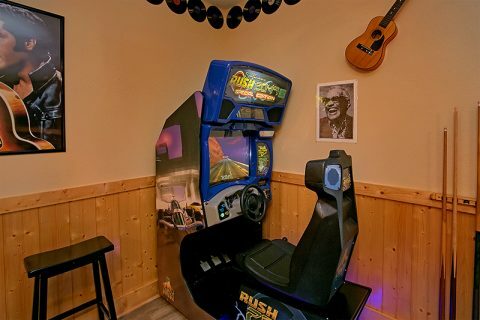 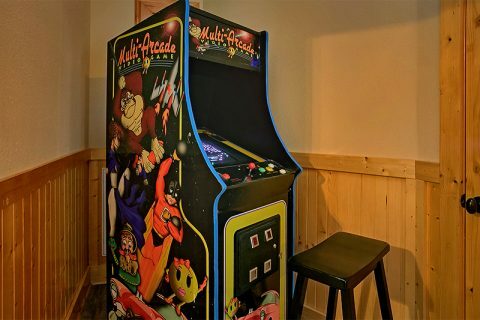 Downstairs, you'll find plenty of in-cabin entertainment in the theater room with a 65" flat-screen television or in the fully-stocked game room. 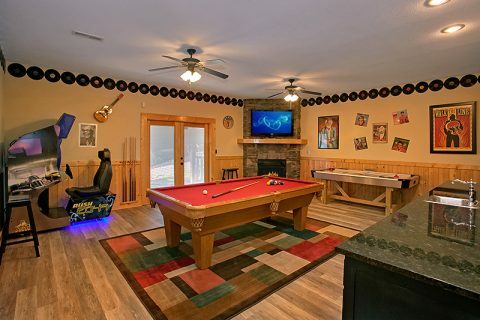 This room comes with a pool table, air hockey game, and arcade games. 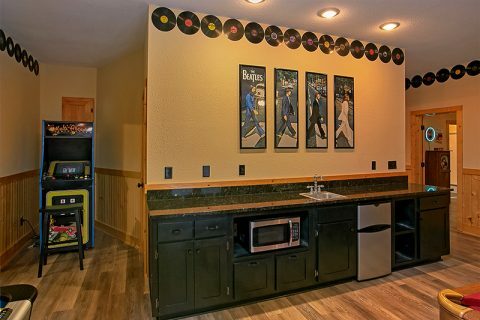 You can also enjoy great snacks and refreshing drinks at the wet bar complete with a microwave oven and a mini fridge. 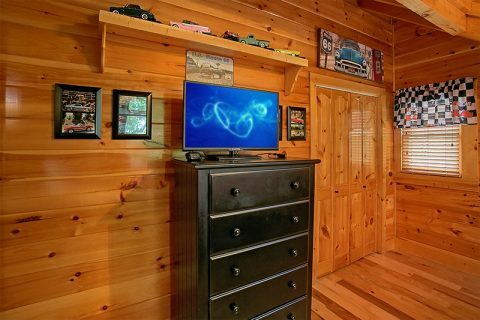 Lastly, a flat-screen television above the fireplace mantel ensures this room is warm and welcoming. 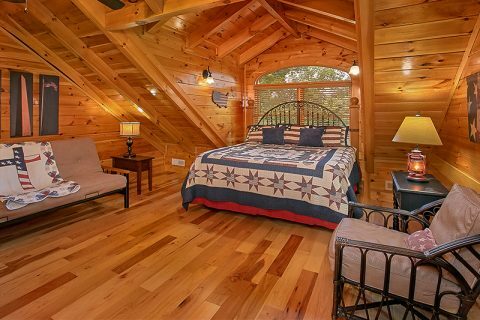 This cabin also has plenty of ways to enjoy the outdoors. 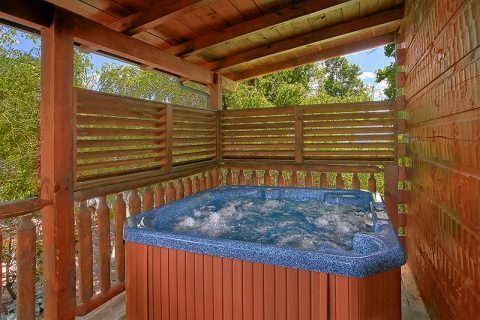 From going for a swim at one of the resort pools to relaxing in the hot tub on your cabin's deck, you can take in the crisp mountain air. 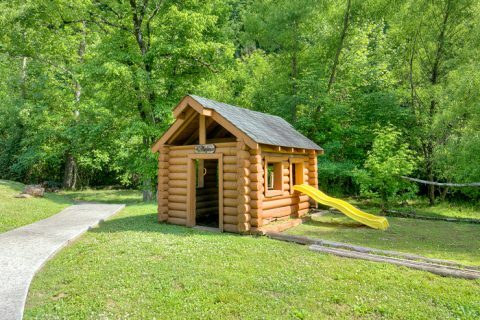 Additionally, this cabin comes with a small yard area for the kids to play while you relax on the porch rocker or porch swing. 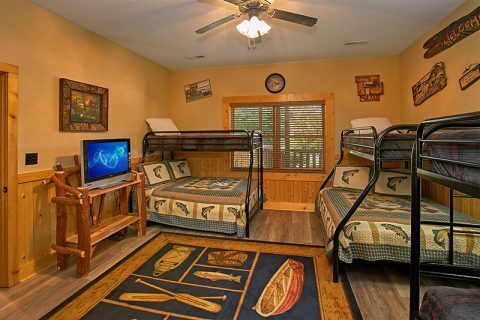 After a long day in the national park, you'll enjoy kicking back in one of your cabin's 6 bedrooms. 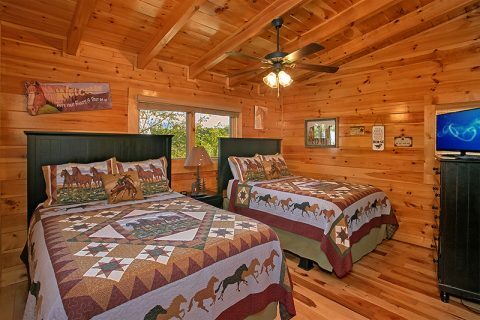 Altogether this cabin comes with 4 king beds, 4 queen beds, 4 twin-size beds, 3 futons, and a sleeper sofa to comfortably sleep up to 25 guests. 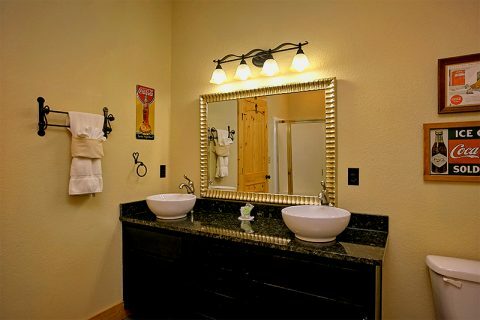 Several bathrooms come complete with double vanities and jacuzzi tubs for being pampered in privacy. 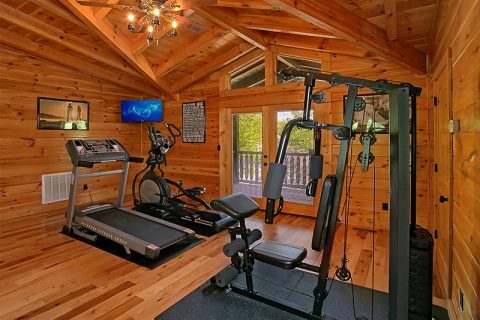 Vacationers can also stay on their workout regimen thanks to this cabin's fitness equipment in the upstairs loft. 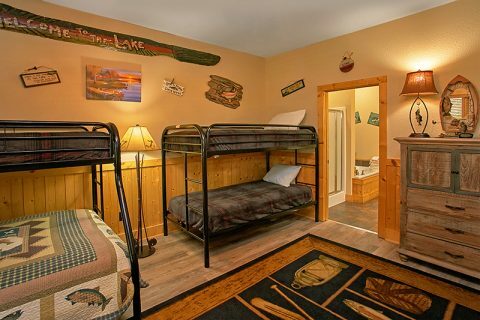 Lastly, guests of this cabin will enjoy WiFi Internet access and a washer & dryer. 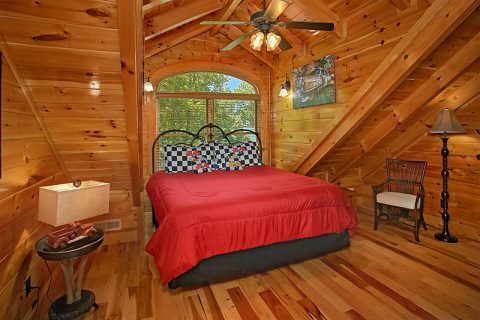 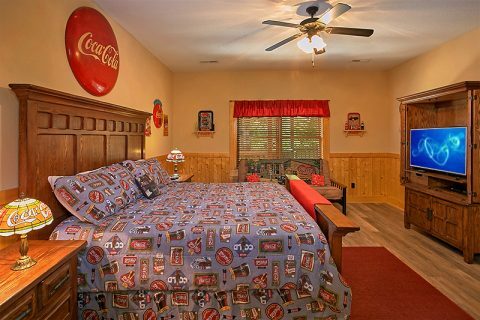 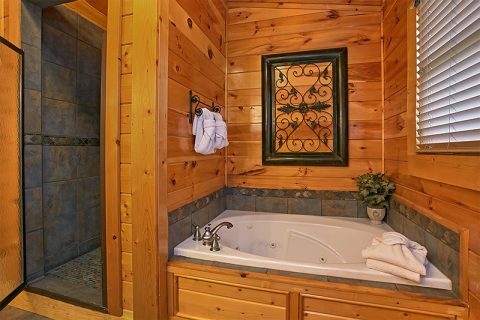 Don't forget to reserve this terrific cabin with Cabins USA Gatlinburg to earn a special 15% discount on your nightly rate! 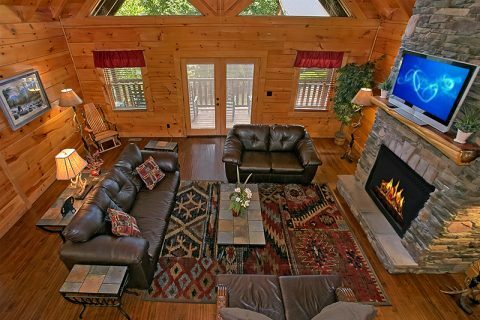 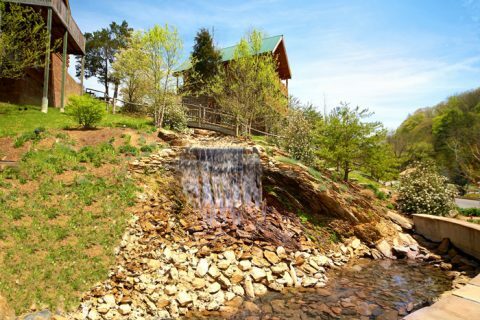 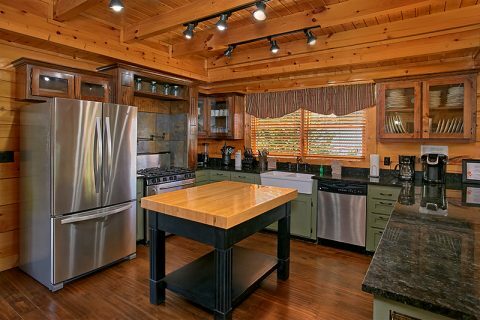 Save on this luxury cabin that has everything needed for a quality stay in the mountains!